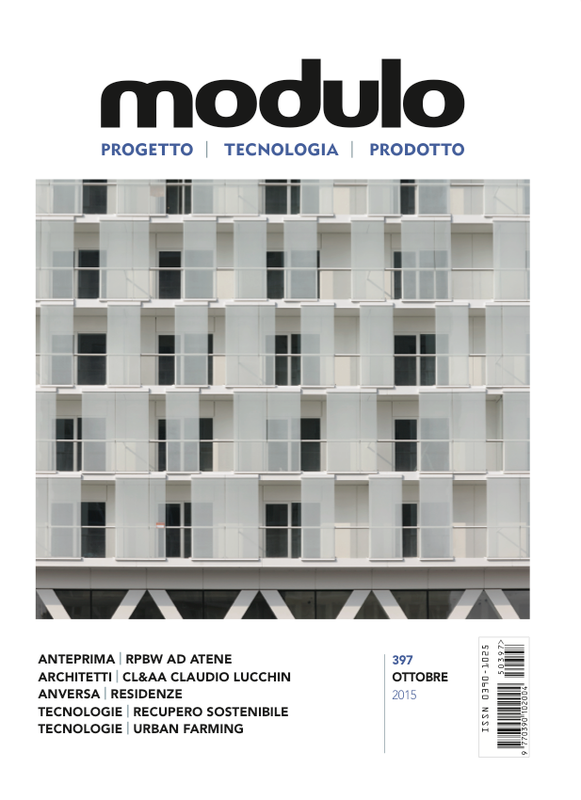 A Building technology magazine: buildings, trends, innovations, products and systems… in a technological key. Built architecture and project, components and systems, products and regulations. What makes Modulo unique is the critical analysis connected to these themes, always keeping an eye on innovation and technology across the topics spanning architectural design. Sustainability, Complex Building Envelopes, Energy Efficiency, Systems Integration, Materials: with a fresh and up-to-date look over the hottest architectural topics, we apply the “Technology” filter to architectural design, by showcasing best practices and accessing ground-breaking research in materials, components, systems, products and regulations. Great scrutiny is dedicated to the broad scene of everyday architecture and to the innovative tools in building technology, as well as to high-end architectural designs that contribute to the industry’s advancement and set the pace for innovation in architecture. Bi-monthly, 6 issues per year. Circulation (paper and digital edition): 10000 copies.